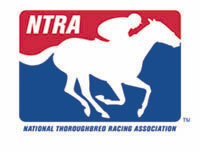 The National Thoroughbred Racing Association (NTRA) today announced that Dan Fick, executive director of racing for American Quarter Horse Association (AQHA), and Jay Hickey, president of the American Horse Council (AHC), have joined the oversight committee of the NTRA Wagering Technology Working Group. “The AQHA is a partner with the Thoroughbred racing industry in virtually all legislative and regulatory matters, and the American Horse Council has been an effective advocate for our industry on the Federal level as we face important issues as an industry. We appreciate the support and assistance of the AQHA and the AHC as we work together to enhance the security of pari-mutuel wagering,” said NTRA Commissioner Tim Smith. As announced last Friday, the Wagering Technology Working Group made three short-term recommendations to the horseracing industry to improve wagering systems security and enhance customer confidence. Also last week, the systems security unit of Ernst & Young began an expedited assessment and testing process of horseracing’s electronic wagering security. The three largest tote companies in North America have pledged cooperation with the NTRA Working Group, including the Ernst &Young process. Working group members, besides Smith, Fick and Hickey, include Paul Berube, president of the Thoroughbred Racing Protective Bureau; Frank Lamb, executive director of the North American Pari-Mutuel Regulators Association; Alan Marzelli, president of The Jockey Club; Lonny Powell, president of the Association of Racing Commissioners International; Jim Quinn, noted Thoroughbred racing handicapper and author; Chris Scherf, executive vice president of the Thoroughbred Racing Association; and D.G. Van Clief, Jr., NTRA vice chairman and president of Breeders’ Cup Limited. Keith Chamblin, NTRA, Task Force Coordinator; Bob Curran, Turf Publicists of America; Sue Floyd, Magna Entertainment; Jim Gluckson, Breeders’ Cup Limited; Ben Haggin, NTRA; Mike Mooney, Hollywood Park; Bill Nader, New York Racing Association; Jody Powell, Powell Tate; Chris Scherf, Thoroughbred Racing Associations; Karl Schmitt, Churchill Downs; Mike Tanner, Gulfstream Park; Chip Tuttle, Conover Tuttle; Eric Wing, NTRA; and Stuart Zanville, Santa Anita Park. Greg Avioli, NTRA, Task Force Coordinator; Ira Bloch, New York City Off-Track Betting; Alan Foreman, Thoroughbred Horsemen’s Associations; Ed Hannah, Magna Entertainment; Pat Kehoe, New York Racing Association; Roger Licht, California Horse Racing Board; John Roark, National Horsemen’s Benevolent and Protective Association; Michael Shagan, consultant; Julian Solotorovsky, consultant; John Van de Kamp, Thoroughbred Owners of California; Alex Waldrop, Churchill Downs; and Harvie Wilkinson, Keeneland Association. Ken Kirchner, NTRA, Task Force Coordinator; Paul Berube, Thoroughbred Racing Protective Bureau; Bobby Birch, The Jockey Club Information Systems; Bob Bork, Sam Houston Race Park; Tom Caseragola, New York State Racing & Wagering Board; Jim Gallagher, New York Racing Association; George Haines, Santa Anita Park; David Haydon, InCompass; Pat Mahoney, Calder Racecourse; Rich McNutt, TVG; John Reagan, California Horse Racing Board; and John Walzak, Ontario Harness Horse Association.